i was lucky enough to be a small part of vinay & sheila's engagement this past weekend in new york city. it was a typical hot, summer day in the concrete jungle when vinay asked for sheila's hand. the proposal took place in an east village gallery he rented out, which contained photos on the wall of their memories with one another over the past three years. how sweet, right?! i was asked to document the special moment as best i could & with a little help from my decoy, drew, i was able to capture the happy couple heading towards the gallery. (they were quite speedy!) 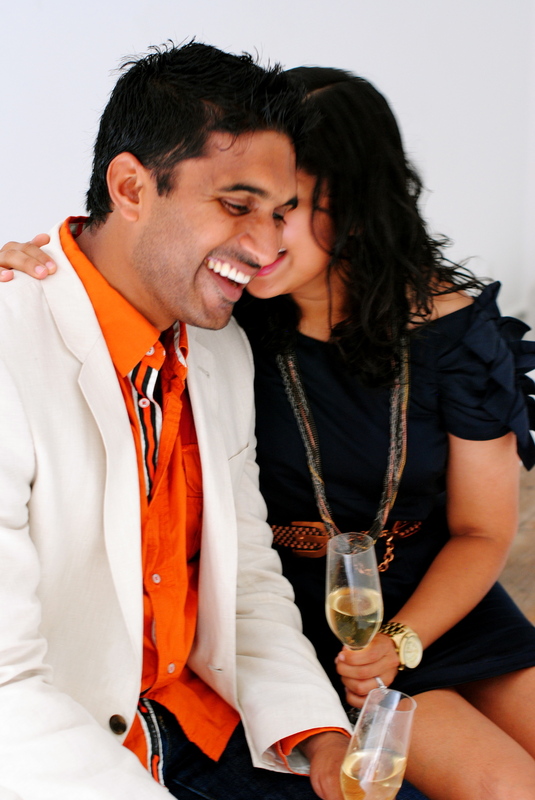 vinay wasted no time getting down on one knee and proposing to sheila, who excitedly claimed "yes!". cheers to the newly engaged couple, many thanks for letting me capture this special moment for you both and congratulations!